Like Facebook, we’ll soon be dropping the The. And we’re stoked (photo credit: NuServe). 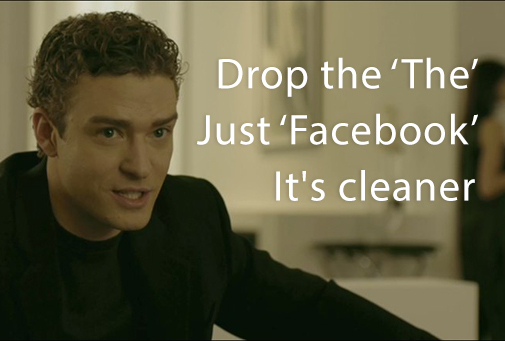 Remember the scene in “The Social Network” in which the Sean Parker character (played by Justin Timberlake) tells the Mark Zuckerberg character (played by Jesse Eisenberg) to “drop the The”? Facebook had previously been named The Facebook, but Sean Parker saw the simplicity in Facebook without the The. Just Facebook. Well, after decades of operating our business under the name The Ivy Coach, today we announce that we shall in the very near future operate under Ivy Coach. We’re making like Henry David Thoreau and simplifying. If you’re at all curious about the inside business story of how we’ve acquired IvyCoach.com (which we just planted our flag on for the first time today), we figured we’d share. Hey, some of our students are aspiring entrepreneurs so it’s a good lesson in business. We’ve been in business for just about a quarter century, operating under the same name. We’ve been online at TheIvyCoach.com since 2002. In 2001, someone registered the domain for IvyCoach.com and thus we had to use TheIvyCoach.com. But we are the rightful trademark holders of ‘The Ivy Coach’ as well as ‘Ivy Coach.’ The owner of IvyCoach.com had possession of this site for these past fourteen years but never built on it. It remained a blank, unused page (as it is today) and we imagine many folks trying to find us went to this blank page. But soon that will no longer be the case. Soon, you’ll be able to go to this page and find us! Today, after fourteen years of trying, we’ve achieved this objective. We’re heeding the advice of the eccentric Sean Parker. We’re dropping the The. Whoot whoot!